Picked this up from an old magician’s estate. 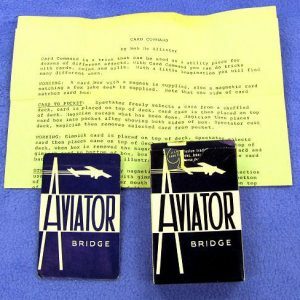 It comes with the original two pages of instructions, the two pieces of cardboard, rubber bands, and the prepared required cards. Everything’s in good like-new condition. It’s a great trick you’ll love to perform. EFFECT: Spectator is allowed to examine two pieces of cardboard. Spectator himself, then places the two pieces of board together and binds them with two rubber bands. 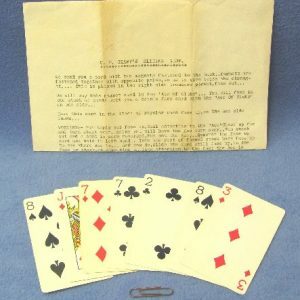 Four playing cards are then displayed front and back. 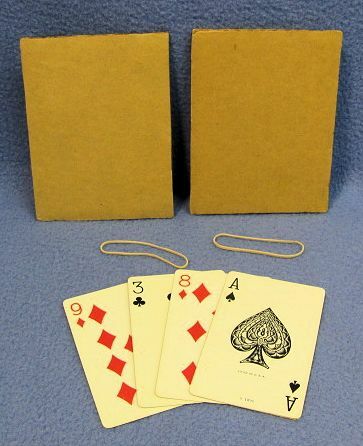 Magician then causes one of the cards to penetrate the bound pieces of card board and appear between them. 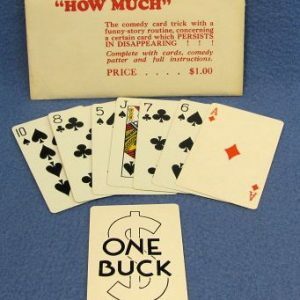 The trick can then be immediately repeated!